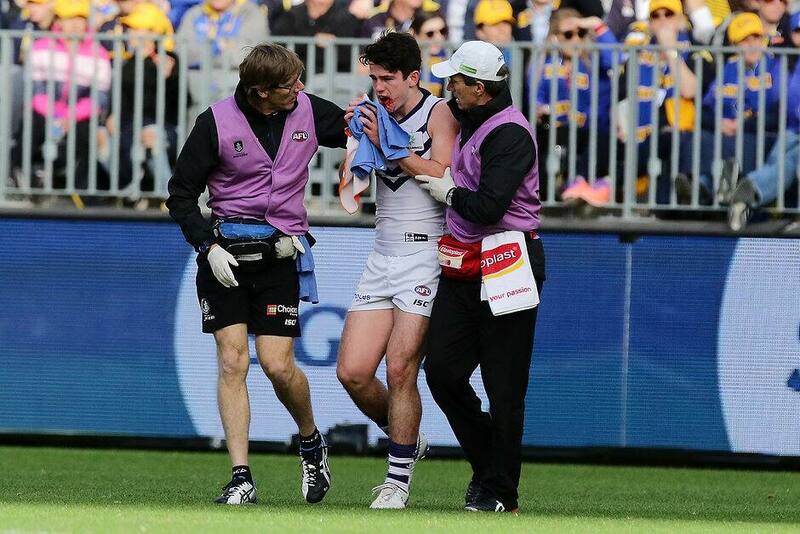 ANDREW Brayshaw's brother Angus believes the shocking punch thrown by Andrew Gaff amounts to assault, and insists the West Coast midfielder must be rubbed out for at least the rest of the season. Speaking on the AFL Exchange podcast, emotional Melbourne star Angus described his disbelief after finding out Gaff "absolutely ruined Andrew's mouth with his fist" in Sunday's Western Derby. "If this has happened at a nightclub or on the streets, it's an assault," Brayshaw said. "I just can't believe, honestly, that it's happened. I'd be really upset if he (Gaff) gets less than seven (weeks). If it's anything less than seven, someone should do something about it. "I can't see how Andrew Gaff can play football again this year." However, the Brayshaw family doesn’t believe the ugly incident should become the subject of a police investigation. "I think Andrew's pretty keen to sweep it under the rug (and let) the Tribunal to decide what they decide," Angus said. "I don't think it should be taken any further." Angus Brayshaw, Matt Thompson and Cal Twomey discuss what the incident might mean for Andrew Gaff's future, what should happen with the score review system, Cam Rayner's miss and the Lions reaction to it, and what Angus and Christian were up to in their post-game celebrations. 32:28 – What makes a good sandwich?